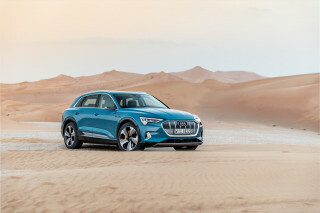 Last week may not have been the ideal time for Audi to show off its second plug-in hybrid vehicle, since its Q7 e-tron SUV is powered by a 3.0-liter V-6 turbodiesel engine. With the Volkswagen diesel emission scandal now entering its third month—and no resolution apparent—the awkwardness of demonstrating a diesel plug-in hybrid was manifest. 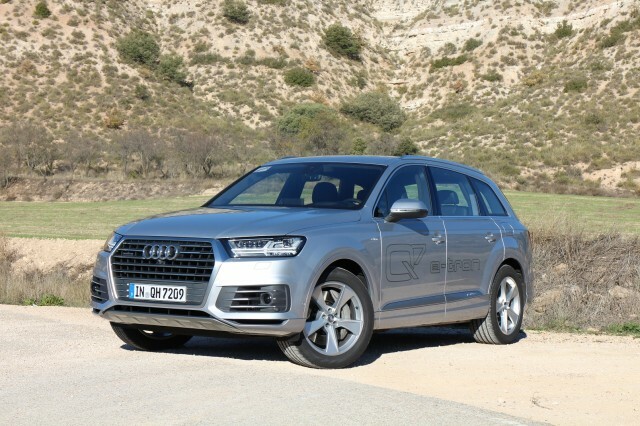 But whether a diesel version of this vehicle is ever sold in North America (odds seem stacked against it), the Q7 plug-in hybrid Q7 proved to be a noteworthy drive. We covered roughly 60 miles—including highways, rolling country roads, and low-speed in-town driving—in and around Madrid, Spain. The global Audi Future Performance technology presentation day was the first time members of the press had driven the Q7 e-tron 3.0 TDI Quattro (its full name) on public roads. The second generation of Audi’s largest and most luxurious sport-utility vehicle, the new Q7 competes with the largest BMW and Mercedes-Benz SUVs, as well as luxury entries from Range Rover and Cadillac. 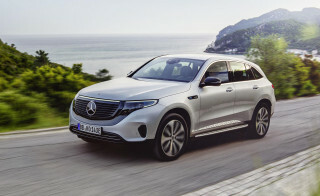 And the plug-in hybrid version will compete with three vehicles that will already have been on the market for a year or more when it launches: the BMW X5 xDrive 40e, the Mercedes-Benz GLE 550e, and the Volvo XC90 T8 Twin Engine. But before discussing the car and what it’s like to drive—unexpectedly good—we need to put the diesel issue in context. Audi is only the second European maker to offer a diesel plug-in hybrid. 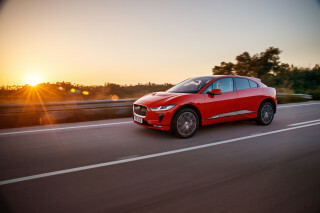 The first was Volvo, which found unexpected success (largely due to tax incentives in various countries) with its V60 diesel plug-in hybrid wagon it launched in 2012. But Volvo is a small carmaker, and it said relatively early on that its plug-in hybrids for North America would use only gasoline engines. Accordingly, its XC90 plug-in hybrid SUV uses the same turbo- and super-charged 2.0-liter four-cylinder as the rest of the XC90 range—with a plug-in hybrid powertrain added. Bringing a plug-in hybrid luxury SUV to market is challenging enough; would Audi add to that the challenge of the country’s first diesel plug-in hybrid? The VW diesel emission scandal that emerged in September makes it far less likely even than it was before. 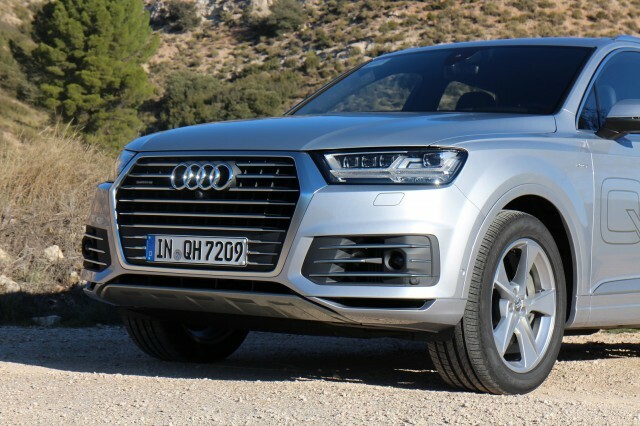 While the diesel plug-in hybrid Q7 will launch next spring in Europe, the company is also developing a version with a 2.0-liter TSFI turbocharged four-cylinder gasoline engine. And the engine? 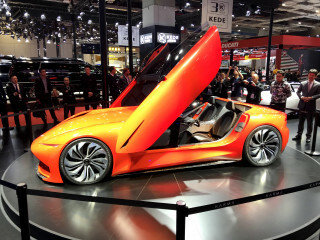 The decision on whether to use the 2.0-liter TSFI four-cylinder gasoline engine or the 3.0-liter V-6 TDI diesel “is not decided yet,” Dahncke said. 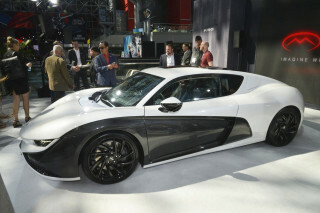 We’d bet money that it’ll be the gasoline version. That said, the TDI version of the Q7 plug-in hybrid turns out to be a quiet, comfortable, and surprisingly electric plug-in hybrid—subjectively more so than the A3 e-tron we tested last month, as you might expect from a $60,000-plus luxury vehicle. The new Q7, which launches as a 2017 model next spring in conventional form, is still a large and luxurious SUV. 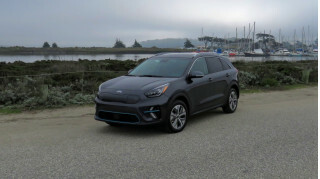 But compared to its predecessor, which first went on sale in 2007, it’s not only up to date in design and equipment, but quieter and up to 700 pounds lighter. 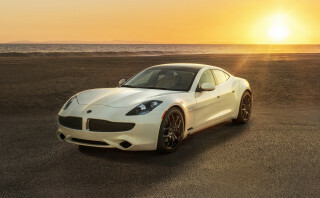 There’s also a 94-kilowatt (128-horsepower) electric motor sandwiched between the 258-hp 3.0-liter V-6 turbodiesel engine and the eight-speed automatic transmission. 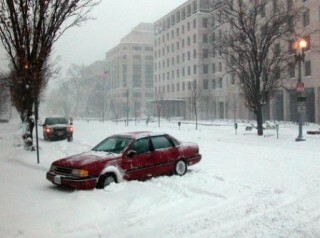 All-wheel drive is mechanical. Audi quotes 0-to-62-mph acceleration of 6.0 seconds in hybrid mode (engine and electric motor), or 6.5 seconds in electric-only mode. 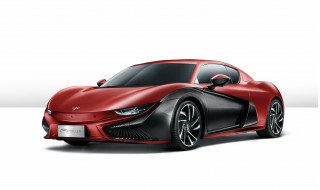 Top speed is 78 mph in electric mode, 140 mph as a hybrid. 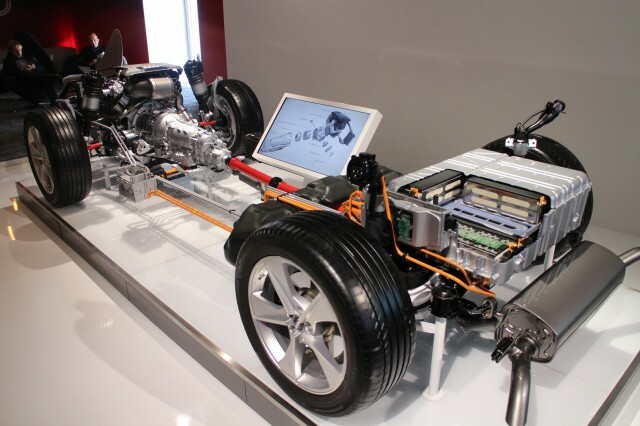 It’s worth noting that the Q7 e-tron’s 17.3-kWh battery is essentially twice the size of the 8.8-kWh pack in the Audi A3 e-tron we tested, and almost as large as the pack in the (smaller, lighter) 2016 Chevrolet Volt, with its 53-mile range. 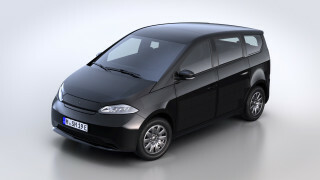 The company quotes a range of 50 kilometers (35 miles) of electric range on the European test cycle. Assuming the battery size remains constant in the version that comes to the States, EPA numbers are likely to be somewhere in the mid-20s. 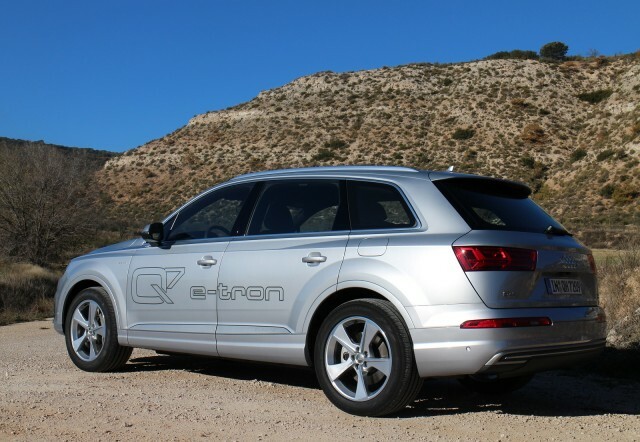 On the road, the Q7 TDI e-tron is smooth, quiet, comfortable, and has surprisingly strong electric-only power. 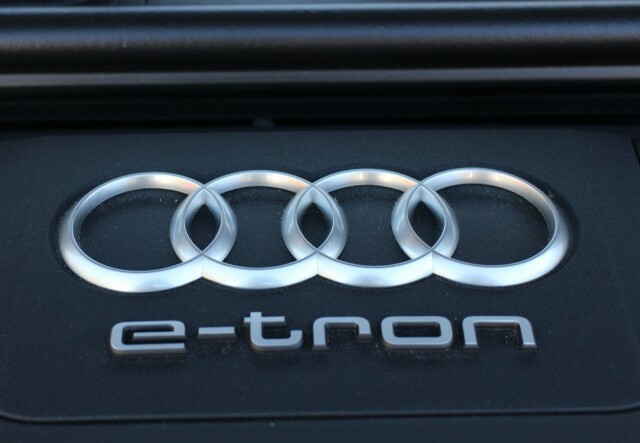 As with the A3 e-tron, there are four driving modes. 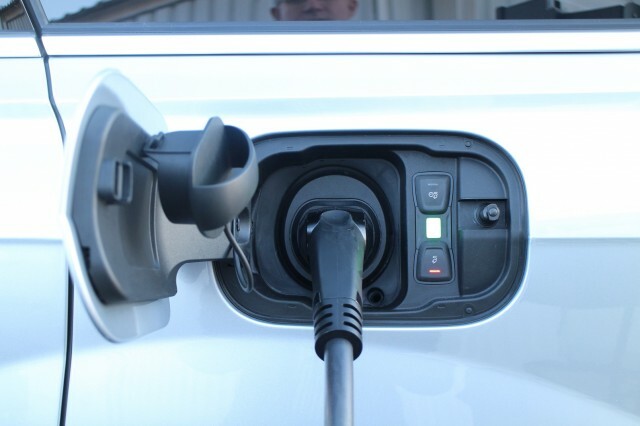 The Q7 e-tron defaults to EV mode, then switches to Hybrid mode once the battery is discharged. There’s also a Battery Hold mode, to conserve battery capacity for later use (presumably in urban centers or at low speeds), and a Battery Charge mode that recharges the battery using excess engine power (highly inefficient, but sometimes useful). We swept up several long hills at speeds from 20 to 40 mph with the car remaining in electric mode. It’s still disconcerting to feel a car running on electricity shift gears, but that’s the nature of a single-motor plug-in hybrid coupled to a conventional transmission—and we slowly got used to it. 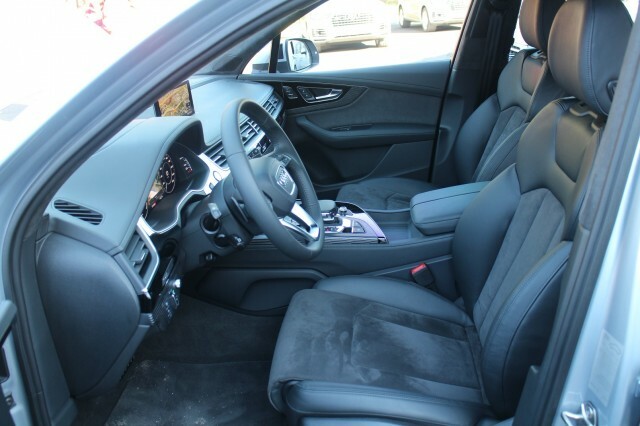 Flooring the accelerator for maximum power kicked on the diesel engine and put the car into hybrid mode, as in the A3 e-tron as well. But the Q7 e-tron’s electric capabilities were stronger than we expected for a vehicle weighing considerably more than two tons. Noise from the V-6 TDI diesel was well muffled inside the cabin, with engine starts that were well muted if not entirely undetectable. In fact, the car sounded considerably noisier with the engine running when standing outside it than it was inside the cabin. One intriguing feature is what Audi calls the Predictive Efficiency Advisor, or PEA. Once a destination is entered into the navigation system, the PEA system takes into account altitude (for hills and downgrades), city and town limits, and prevailing speed limits and advises drivers when to lift off the accelerator—in the form of a green foot over a pedal in the heads-up display. 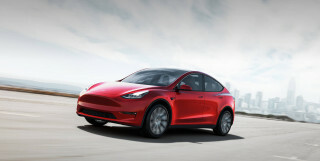 The system is programmed to end the trip with a fully discharged battery pack, and to operate in all-electric mode within towns and city limits. If no destination is entered, the system looks ahead 3 km (1.8 miles) to predict likely travel. In practice, the system proved useful in advising the driver to start to coast down outside speed zones or before a stop sign that might not yet be visible. The system also isn’t aware of charging locations, so it won’t retain battery charge that might get drivers to an in-town charging station. Over almost 100 km (62 miles) of mixed travel, driving normally, a data logger in the car showed that fully two-thirds of our miles were covered on electricity only. 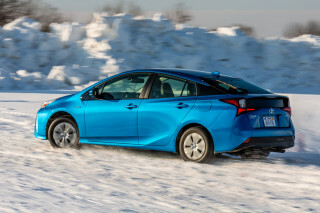 Just one-third required the diesel engine to start, either in hybrid or engine-only modes. 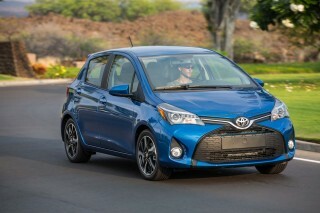 The company quotes fuel efficiency on the blended European cycle that translates to 138 miles per gallon. But it did not have figures comparable to EPA measurements for efficiency (in miles per gallon equivalent) for electric-only mode, or fuel efficiency in hybrid mode. We look forward to testing a U.S.-spec version of the Q7 e-tron, presumably with a four-cylinder gasoline engine, and assessing it against its BMW, Mercedes, and Volvo competitors. 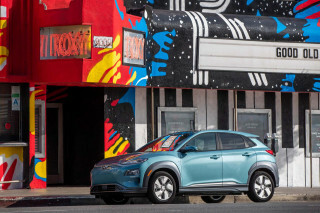 An electric range of more than 20 miles, however, appears likely to give it at least a slight edge on that crop of luxury plug-in hybrid SUVs—not to mention its A3 e-tron sibling. We’re not convinced Audi will sell more than small numbers of the Q7 e-tron—Q7 sales volumes are a fraction of those for the less expensive A3 and A4 sedans and the Q5 crossover utility vehicle—but the same likely applies to the other three makers as well. 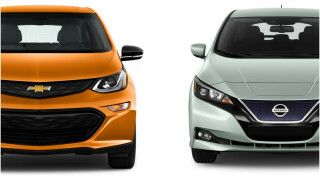 As buyers of plug-in vehicles of all types have said over and over, more range is better. In that respect, our drive of what you might view as a development version of the U.S.-bound Q7 e-tron shows a lot of promise. 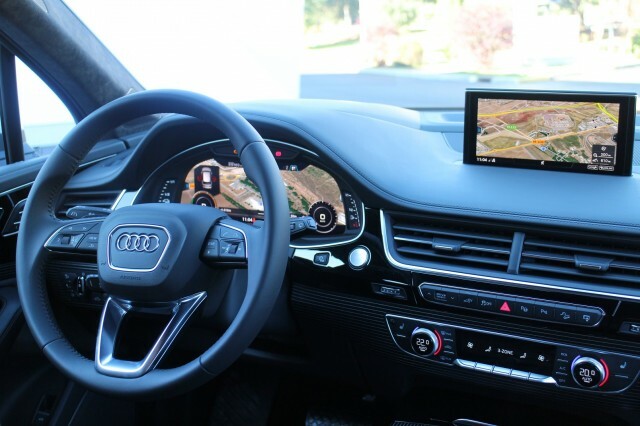 Audi provided airfare, lodging, and meals to allow High Gear Media to bring you this first-person report.